Home / Exclusive / Will Zimbabwe follow the steps of Sudan? Gaborone, Botswana: A Zimbabwean political organisation which claims to be advocating for the liberation of the Ndebele speaking Zimbabweans, Mthwakazi Liberation Front (MLF) is calling for an independent state in the southern part of Zimbabwe. According to the organisation, the need for a liberated state in Zimbabwe is sparked by allegations of segregation and tribalism in the country where according to the movement spokesperson; the Ndebele people are getting the short end of the stick. The organisation’s spokesperson, David Magagula says the movement is aiming at restoring the Kingdom of Mthwakazi which is said to be the Matabeleland part of Zimbabwe which is occupied by mainly the Ndebele speaking Zimbabweans. David Magagula says there has always been two countries in Zimbabwe which he says were merged by Jameson, an administrator in the Cecil John Rhodes’ occupation of the then Southern Rhodesia. “We were robbed of the Mthwakazi Kingdom by the British during the Ndebele/British war of 1894. The Middle lands which is the real Zimbabwe and the kingdom of Mthwakazi were then merged together after a vote by the colonial regime when the black people by then were not allowed to vote, have a say or be involved in the running of the country,” says the spokesperson of Mthwakazi. He says from 1894 to 1923 the two states, Middle lands and Mthwakazi were ruled separately, the Mthwakazi state was run from Bulawayo and the Middle lands from the Capital city of Harare, the then Salisbury. “Even now Zimbabwe has two state houses because there were two states ruled separately. During that time there were two houses of parliament, one in the then Salisbury and the other in the second city of Bulawayo. At that time both these cities were both capital cities of each state,” says David Magagula. David Magagula says the reasons for calling an independent state in Zimbabwe are triggered by the ill treatment of Ndebele people by the ruling government which according to the Mthwakazi Liberation Front only favours the Shona speaking people or only people living in the Mashonaland region. He says there has not been a single development project in the Matabeleland region since the 1980 Zimbabwean independence and the Mashonaland region is even benefiting from the resources from Matabeleland. “The Matabeleland region has many tourism destinations which are visited by large numbers of international tourists annually. There is namely the Victoria Falls, Chipangali Wild Life Orphanage, the Matopo Hills, where there is the grave of Cecil John Rhodes, the old Bulawayo, Khami Ruins, to name a few. Only the Mashonaland is benefiting from the money generated from these tourism areas,” laments David Magagula. David Magagula says the Ndebele are experiencing human rights violation from the ruling government. He says Ndebele people are forced to learn and speak Shona and if they can not speak the language they are at times arrested for not knowing the language whereas the Shona speaking are not forced to know any language except Shona. He says the world is quiet about the Ndebele genocide of the 80s where a lot of Ndebele people were killed by Robert Mugabe’s 5th Brigade army, known as the Gugurahundi by the Zimbabweans. Thousands of Ndebele people are said to have been murdered and buried in shallow graves all around Matabeleland. He claims 70 000 families from Mashonaland were settled in Matabeleland as a move to neutralise the votes because they will vote for the ruling party in Matabeleland where the ruling party normal does not get votes. Food aid from donor countries is not distributed in the Matabeleland region. However he could not say how the settled families get their food rations. He says seven year old school children who can not speak Shona are normal assigned to a Shona speaking teacher who can’t speak a single word of Ndebele. The nurses and doctors at health centres also can not speak Ndebele and no translator is provided to bridge the language barrier between the patients and medical staff. When asked how the Mthwakazi kingdom economy will sustain its self, David Magagula said the Matabeleland is rich with many minerals like gold, diamonds, platinum and many others. He says if they are granted independence, it is the solution to the alleviation of the influx of illegal immigrants in the neighbouring countries like Botswana, Zambia, and South Africa were many Zimbabweans are in Diaspora as economic and political refugees. He says three members of Mthwakazi Liberation Front have been arrested in Zimbabwe and charged with treason. The three are Paul Siwela, John Gazi and Charles Thomas who are said to be awaiting trial. The then Member of Parliament from the Movement of Democratic Change T (MDC-T) Moses Mozila was also arrested for consoling the 5th Brigade soldiers’ victims and the families of the victims. David Magagula says they are in the process of negotiating with the Zimbabwean government and they are issuing documents to the neighbouring countries, the Southern African Development Countries (SADC), COSATU, the African Nation Congress (ANC), the United Nations(UN) and they are yet to venture abroad to ask the support of some powerful world leaders. 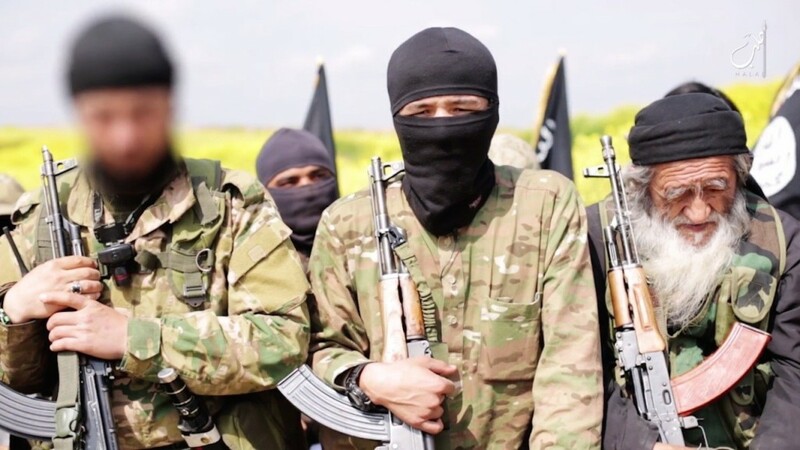 He says they will then submit their documents for the claim of an independent state to the United Nations, the United States of America to mention a few. 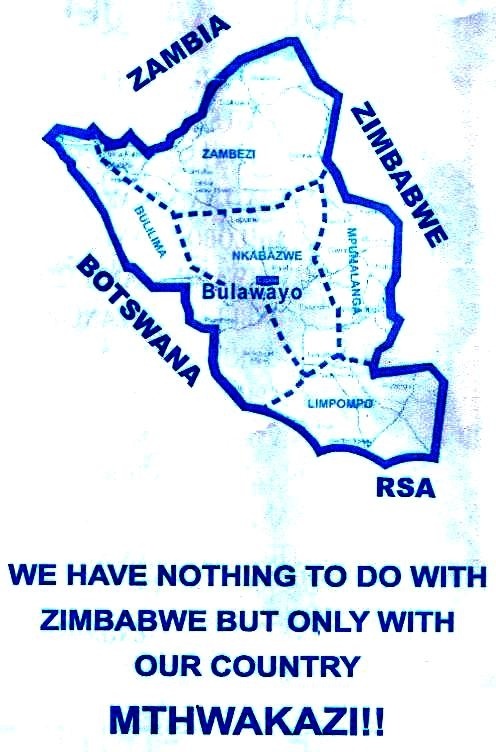 A Zimbabwean living in Botswana says he does not see much sense in cutting the country into two parts. “There is not much land for human use on the part the Mthwakazi Liberation Front want. The western and the southern parts on the land are game parks and there is no land for human settlement. I was born in Matabeleland and I live in there, I am not Ndebele and have nothing against them,” says the man who preferred to stay anonymous. Another man who gave his name as Hamufupe Gwere said what the Ndebele people are calling for is completely out of line and will never work. “Ndebele people are not from Zimbabwe and have no right for asking for land from their host. This is more like asking someone who has accommodated you in his home to give you the room that you slept in. Ndebele people are from South Africa not from Zimbabwe,” says the 35 year old man angrily. The Mthwakazi Liberation Front has met with resistance from the ruling Zanu Pf party. Governor Cain Mathema said that the Matabeleland region is developed and that its citizens are “cry babies”. The statement was published in a Zimbabwean newspaper ‘Bulawayo 24’on the 21 June 2011 article. However the Mthwakazi Liberation Front is quiet about who will be the president of the Kingdom of Mthwakazi or the current leader of the organisation. David Magagula says it is for the protection of the leader from the ruling Zanu PF party. The organisation holds its meeting unlawful in neighbouring countries like Botswana as they fear victimisation in Zimbabwe.